Passover Prompts Boom in Kosher Product Offerings Across U.S.
Passover, the commemoration of Jewish exodus from slavery in Egypt, is a major holiday for the Judaism and deeply associated with traditional meals. You may be surprised, however, to see your local grocer is now offering more than the standard matzah and gefilte fish you’re accustomed to. From 2012 to 2018, the number of Passover food products for sale has more than doubled to 53,000 items. Good news for both observants of Passover and non-observant shoppers looking to dodge gluten. Observant Jews abstain from eating anything with “chametz” during Passover, which includes products made with wheat, barley, rye, oats or spelt; Jews of European descent traditionally refrain from eating legumes as well. 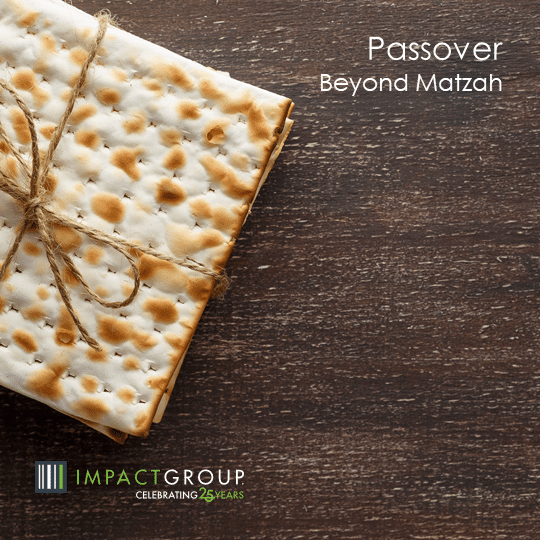 Over 90 percent of all Jews in the U.S. buy Passover items and/or participate in a Seder meal; that equates to $1.3 billion of the $12 billion kosher food market. The increased demand for product differentiation has led grocers to expand their kosher for Passover product space while stocking shelves with a variety of new and interesting food options. Substitutes for pizza, bread and noodles that were once unheard of are now finding their way onto dinner tables next to more traditional dishes. Items like wheat-free lasagna noodles, banana flour and cauliflower rice are now accompanying thousands of other creative and delicious items in grocery stores across the country. This year, Passover begins on Friday, April 19, and ends Saturday, April 27.